This section was initially compiled from photographs obtained and articles in period magazines. 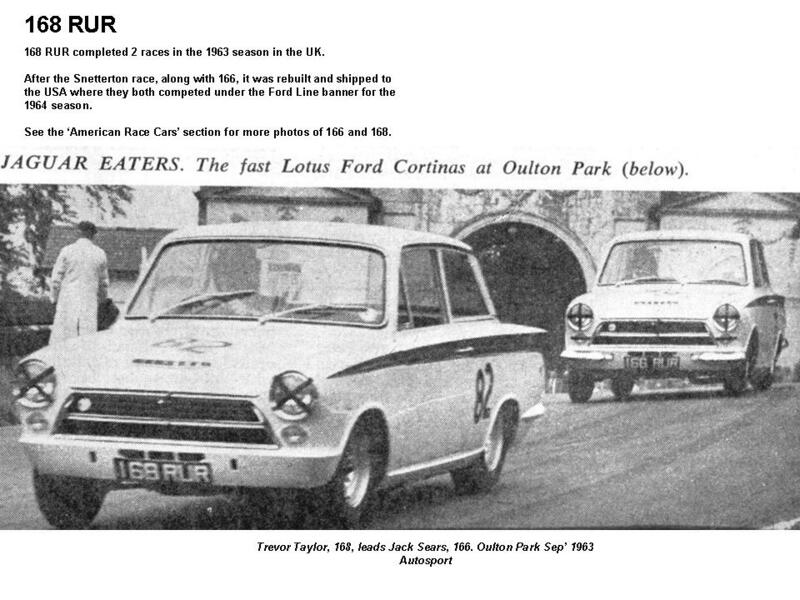 Since the BTCC and ETCC results were compiled in 2014 from original sources (Autosport, Motoring News, Motor Sport) they are being taken as the definitive set, and the ‘race results’ being removed from this section so they are only in one place. 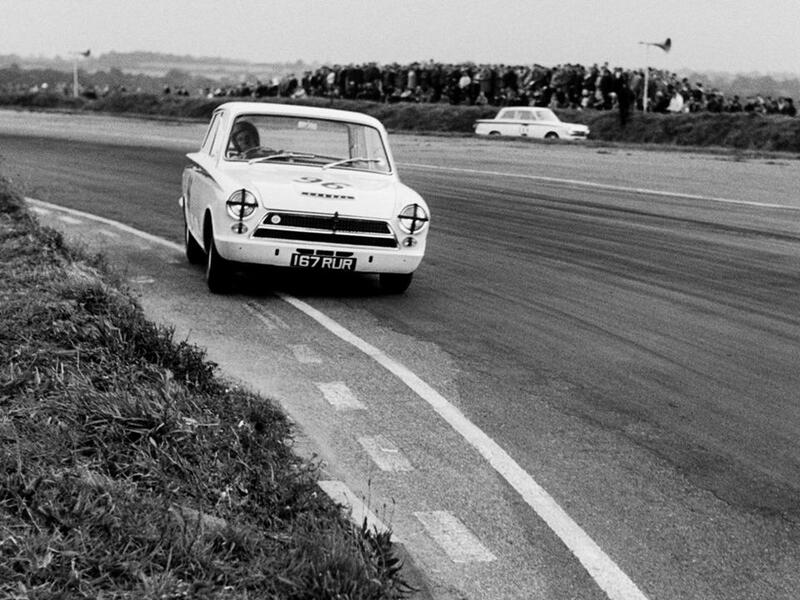 Work is being undertaken to complete the allignment of the car, race number, circuit and driver in this section, along with adding a lot more photographs. 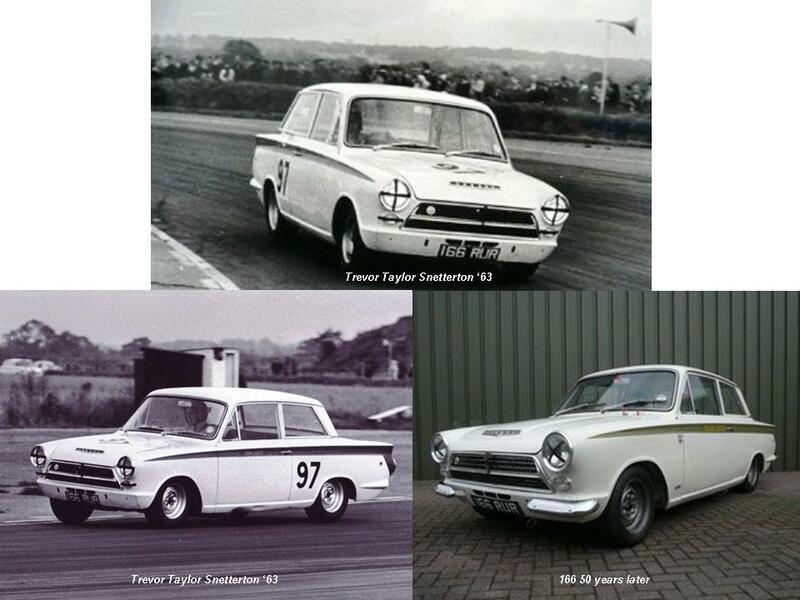 1963 and 1964 now complete (March 2016). 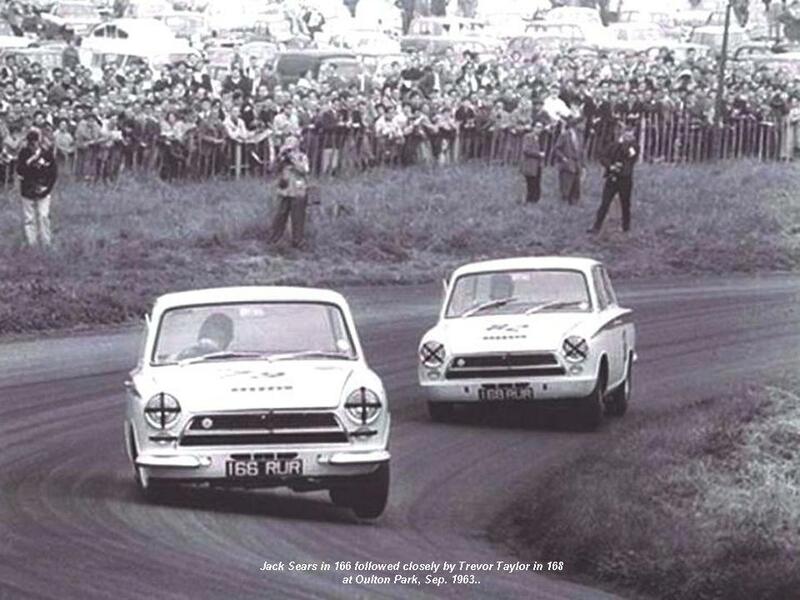 1965 and 1966 will follow shortly. 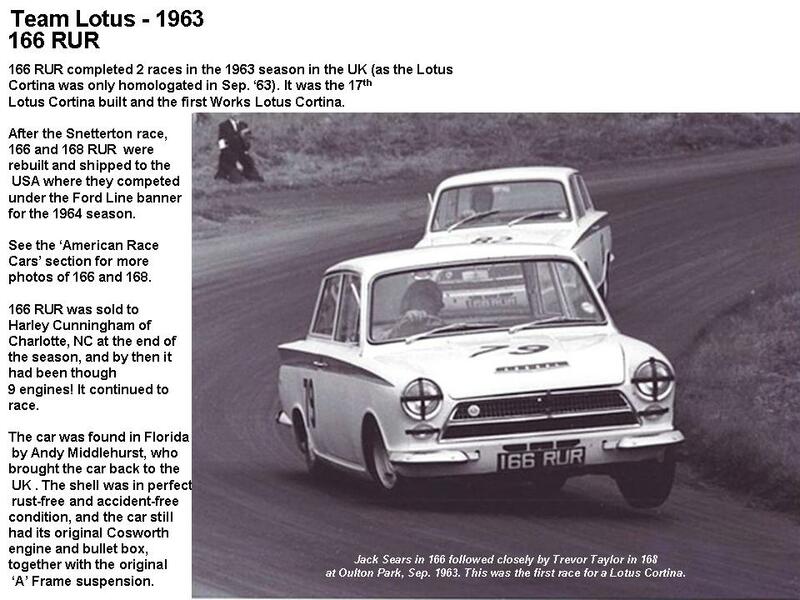 As the Lotus Cortina wasn’t homologated for racing until September 1963, only two races were run by Team Lotus. 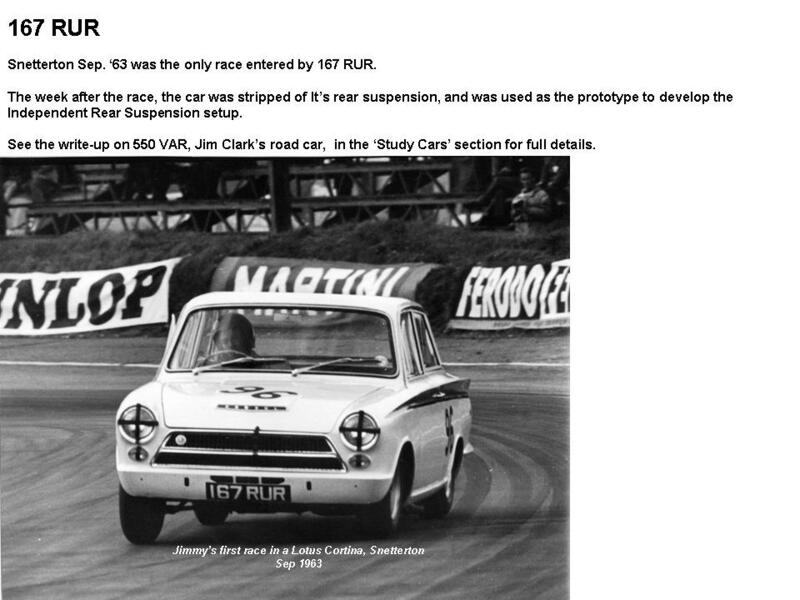 This allowed at least a shake-down of the three cars, with lessons learnt built into the 1964 cars. 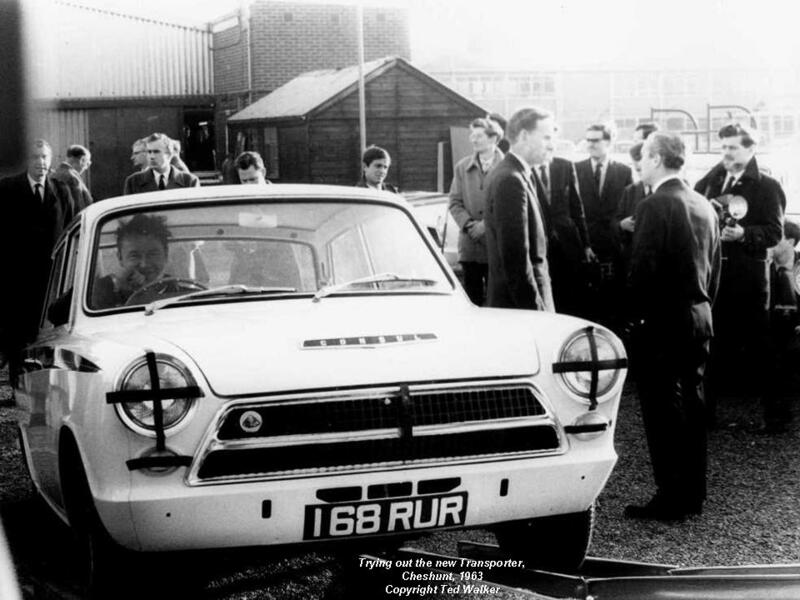 At the end of the season, 166 and 168 were shipped off to the USA to promote the ‘Ford Line’ over there, and 167 was extensively modified at Cheshunt to take an independent rear suspension and rear disk setup, sourced from the Elan. 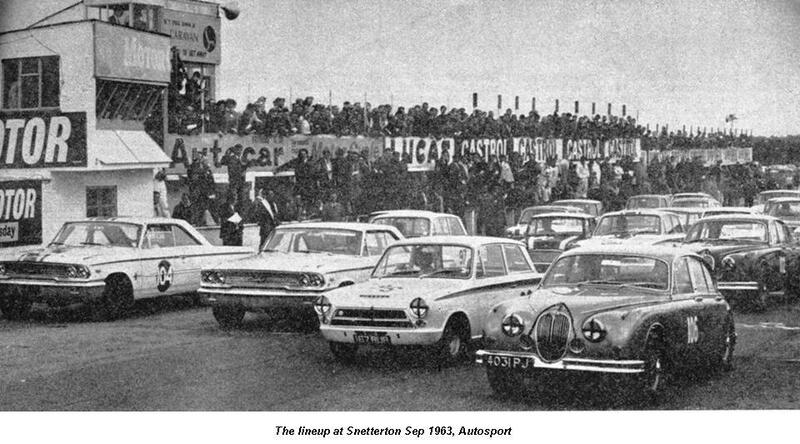 Initially, three drivers were contracted for the season; Jim Clark, Trevor Taylor and Peter Arundel. 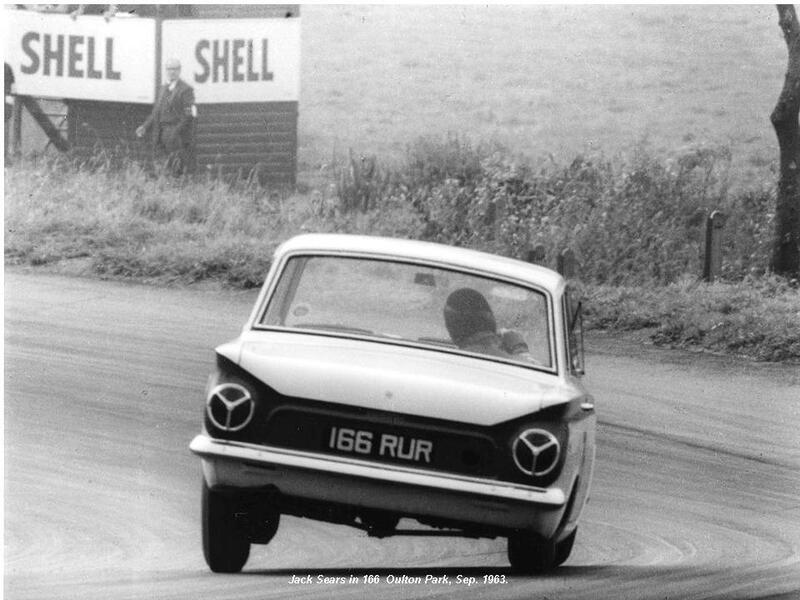 However, Jack Sears had to replace Peter due to Peter’s other racing commitments.